As a genuine Phil & Teds accessory for your tandem double pushchair, you can rest assured of a perfect fit and excellent quality. 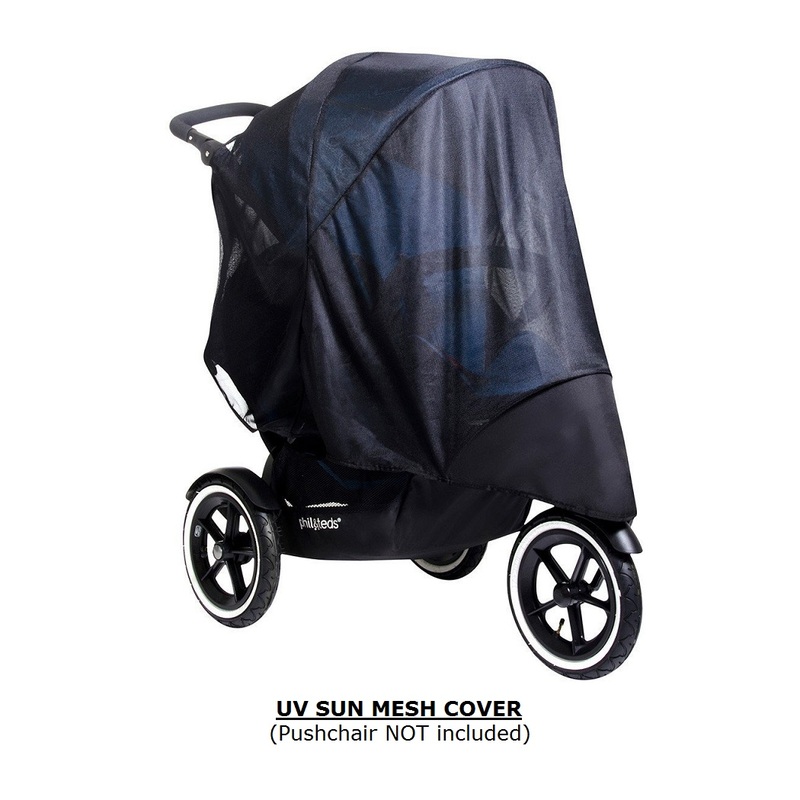 This Custom fit Sun Mesh UV cover protects your little ones from sunny daze, bugs & rays while allowing for airflow and breathability. Top notch UV filtering of 81% and suitable for use from Birth. Also available as a single seat cover, or why not add a Storm Rain Cover and save on shipping? For more information please contact us.